Accurate information about mental health and violence, particularly homicides, is not easy to find. Many mental health professionals don’t like talking about the subject, and if they do, they consistently underestimate the true scale of the problem. What information there is, is often partial, inaccurate or incorrect. 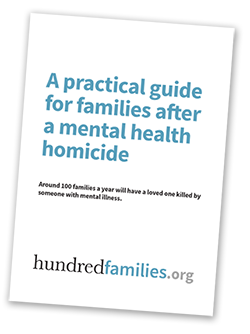 This section examines the problem of mental health homicides and violence using official reports, sources and evidence. The true Numbers of mental health homicides in Britain each year. Mental Health and Violence – Common myths and the realities behind them. Scientific Evidence – 32 international scientific studies documenting the proven association between mental illness and violence. Why does it keep happening? – Some key problems that need to be addressed.